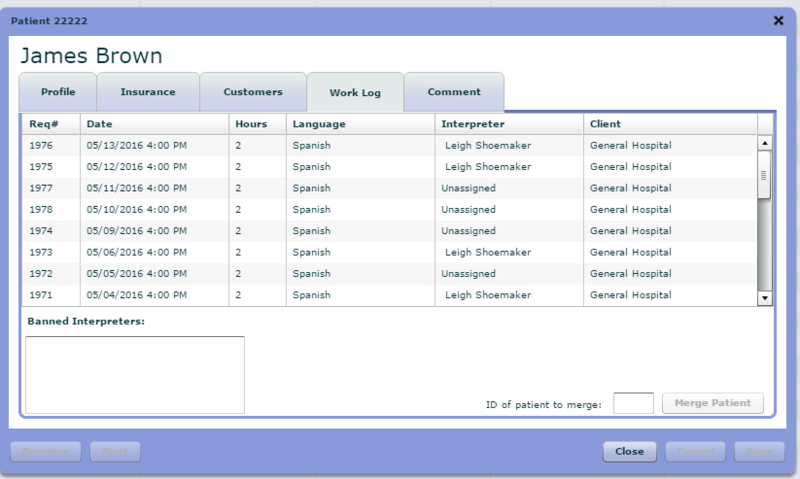 How Do I Merge Patients / LEP / Consumer? Once you have identified duplicate LEPs, you are able to merge them. To do so, you will need to know the ID of the patient you want to merge with the record you have selected from Database/Consumers. You can locate this on the Profile tab. It is at the top of the middle column. Note that the patient you are merging will be replaced by the patient on screen, so, if there is any data you need from the patient you are merging, make sure you have it in the record that will survive. 2. In the field of the Close button on the bottom right, insert the ID of the LEP that will be replaced by the one on screen. 3. Click 'Merge Patient'. When you do this, all references in the system to the patient whose ID you entered will be replaced by the ID of the patient whose record is on screen.